Xazmin was one of the very first blogging friends I ever made. Many of you blog readers can probably relate to clicking from one site to another until you eventually land on one that just *fits. * I was initially drawn to Xazmin's adorable shop, but her charming personality enticed me to keep reading and get to know her better. I'd love to introduce you to Ribbon Blossoms today. Ribbon Blossoms opened in late 2008 with Xazmin's former business partner, Tanielle. Although she's always enjoyed crafting, Xazmin hasn't always been confident in her creations. Xazmin credits her good friend with getting her interested in bow making and encouraging her to join together and open a business. I think Xazmin has every reason to be confident in her skills--her work is fabulous! Xazmin describes her shop as "girlie, froufy, and colorful." I think she hit the nail on the head with that description. She's even working on some new items for the shop to cater to boys! 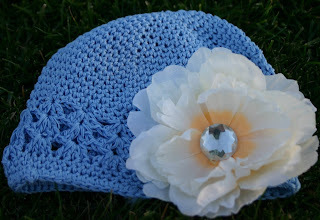 One of Ribbon Blossom's best sellers is the beanie cap. 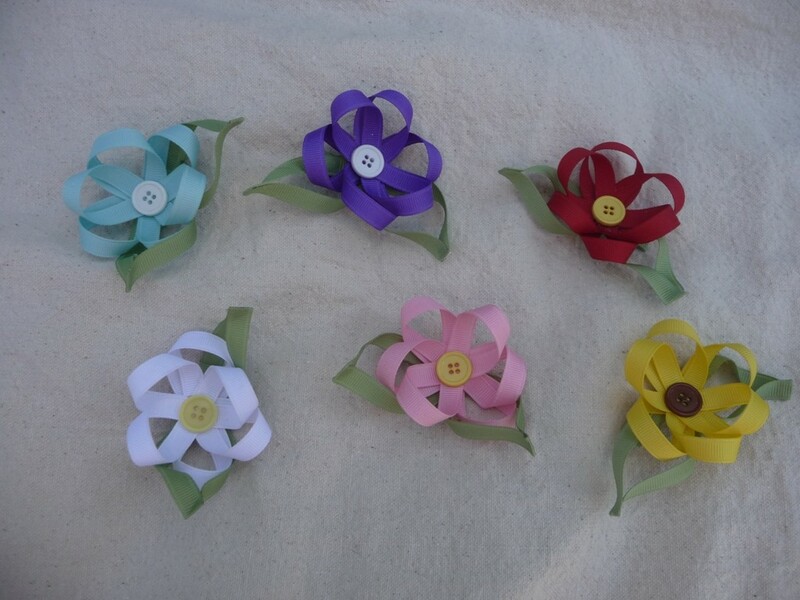 Paired with interchangeable flower clips, you can get a lot of looks for a low price! Moms can snag the flowers for their own hair accessories for a sassy look. I am totally going to have to order this Christmas tree clippie! Xazmin boasts a 72 hour turn-around for shipping pre-made orders, but my favorite thing about Ribbon Blossoms is the quality! Last winter, Xazmin sent my girls their very own package of Ribbon Blossoms hair bows, and it was like Christmas all over again! 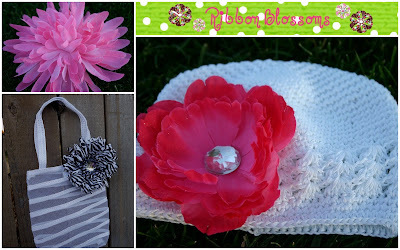 Is there a girl in your life that you'd like to bless with some pretty "ribbon blossoms"? 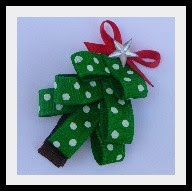 Ribbon Blossoms is offering a $15 Gift Certificate to one Serenity Now reader! 1. (mandatory) Visit the Ribbon Blossoms shop and leave me a comment here with the name of your favorite item. 2. Link to this Giveaway on Facebook. 3. Link to this Giveaway on Twitter. 4. 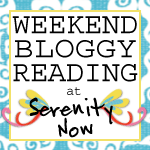 Link your favorite post of the week to my Weekend Bloggy Reading party on Friday for an automatic extra entry! The Giveaway will remain open until 10 pm (ET) on Sunday. If you'd like more information on advertising with Serenity Now, please visit my Advertising Page for details and to see what my Sponsors have to say. *Hope to see you tomorrow for Weekend Bloggy Reading. Please come and link up your favorite post of the week. Be sure to add either my party button OR a text link back to me before you join the party. The button code is below. Thanks! Oh my goodness! The butterflies, ladybugs and bees are so unique! I love them! My eight year old might even be persuaded to wear one of those. 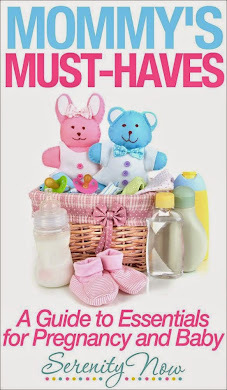 If not, I have a friend who just had a baby girl yesterday, so I could send something to her. 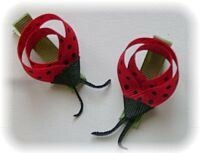 How cute are the ladybugs??? She's quite talented!! What eye candy!!!! It's hard to pick just one favorite, but I'm going to have to do with the butterflies. I've never seen anyone make butterflies at a small scale to be worn in your hair or wouldn't they make a cute pin too??!! Very cute! I love the Candy Corn Korker Set! love the candy corn korker set-so cute! Your girls look too adorable!!! CA-UTE!!!! Everything is so cute but I especially like the Orange and Black Korker Set and I think my favorite is the Cheetah Daisy design (all of the versions). I just loooove Xazmin!!! I missed her while she was taking a break for school stuff. Love the pink diasy sparkle clip!!! So so so cute!!! I adore Xazmin. She was one of my first blogging friends too! How fun!!! 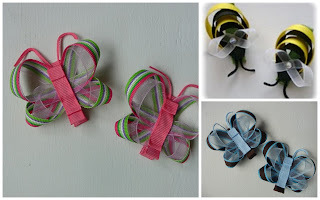 I love her ribbon clips - the bug ones are my favorites! Oh my goodness....your girls are just too adorable! Xazmin is so talented and sweet! LOVE the cute little butterfly bows! Very cute!! I like the Orange & Black Korker Set!